I've always heard that most of all Camilla wanted to emulate her Great Grandmother Alice Keppel, mistress of Edward VII and one of Camilla's quotes to schoolmates repeated ad nauseum was that Alice was the real queen, not Alexandra, queen in everything but name! Yet still that must have rankled with the young schoolgirl. By her early twenties, in fact her late teens,she would have understood enough to know that to be Charles' mistress, she needed a marriage of her own, since the given wisdom in such circles is that a mistress has to be married so that any children would be presumed to be the husband's. I don't doubt she had a "passion" for APB. She certainly kept other women away from him with a possessiveness that would have done justice to Kate Middleton. It was always reported that the love of his life was not Camilla but a sister of the Duke of Northumberland. She later went on to marry a Spanish aristo. Why didn't they marry? It would be perfect! What was her name? I never heard about her. But i think Charles loves Camilla with all his heart. Charles relationship with Camilla is also a slap in the face to Queen Alexandra and the pain she went through. I guess Camilla just had to keep the family business going. "You can have him back when I'm finished with him......" Various authors have stated that Caroline was the real love of Charles' life. Camilla was and possibly still is his obsession. Berlin you are absolutely correct about the slap in the face to Queen Alexandra, and that dear lady actually brought Alice Keppel to Edward VII bedside as he lay dying, but no respect from Camilla. On Edward's orders and frankly I still cannot believe that he forced Alexandra to kiss Keppel on the cheek affectionately. I find fascinating that Charles&Diana&Camilla triangle was so similar to Edward&Alexandra&Alice, it's like history repeating itself but with a different end. I don't see it as just like Alexandra-Alice-Edward. Edward had many women not just Alice--including Lily Langtry one of his more famous mistresses. Alexandra turned a blind eye to the whole thing but used passive aggression with Edward and was a possessive mother to her children. Edward was involved with Alice relatively late in his life but he was quite the womanizer even before he wed Alexandra. Unlike Charles he apparently didn't leave his wife's bed and they had a larger family and he had his extracuricullar activities throughout his marraige. But consider that it was also another era, and I don't believe that Charles only mistress all those years have been Camilla. If it had happened in the 1800 Diana and Charles would still be married. Edward VII had many liaisons. Janet Jenkins and Kanga Tryon were also mistresses of CHarles (even during the "Camilla years"). I read that while Camilla was having her children, CHarles got involved with her replacement Kanga Tryon. THen when Camilla took over, Kanga was dropped by CHarles. I think Charles had other liaisons but not as many as Edward by all accounts. Camilla not only was a mistress but I think was able to manipulate Charles and call the shots even after he married Diana. She will be Queen Consort they can call her whatever they like to please the Diana devotees but the law is the law and she Camilla will be QC regardless. They were the first to say that Camilla wouldn't be queen consort only princess. Would you prefer a King with a live-in mistress? Charles and Camilla love each other and are happy together. They both married the wrong person first time round - like about 40% or more of the population. Like many of them they have found love the second time round. So sad that some people would deny them happiness because they made a mistake the first time (and then use the excuse that Diana didn't find happiness - but that was because she died with her lover - but that is ok I suppose). I don't think it would make any difference if she were a live in mistress. Times have changed. Nobody knows the feelings between them. I do think Charles is a bit of a malcontent and Camilla has kept her home Raymill to retreat to. It is OK for Diana to "die with her lover". Joan Rivers made some catty remark on Larry King about that. But Diana was divorced and could date anyone she wanted to and was free. It's a bit more complicated then the two "marrying the wrong person." Camilla being omnipresent in various capacities in Charles life I think in effect doomed the marriage he had to Diana. had Camilla not been available for Charles to run back to or keep in his life I think there would have been more hope for the Wales to work things out. It is difficult when there is another person calling the shots in someone else's marriage. Camilla by all accounts was besotted with APB but wanted the perks of having Charles as a lover. I think if he had been Charles Jones she wouldn't give him the right time. Sandy, there would be no role or title for Camilla if she was just that. As Wife she has a role and title Queen Consort. He would be the Head of the Church and a head of a church cannot openly flaunt his unmarried girlfriend and be living with her without it jeopardizing his position. Yes, I know that past Kings had but they were kept more quietly and the position was not built on PR and they were reigning and not serving a country. It was best to put a line under the War of the Wales once and for all. To make Camilla more accepted and to please Diana fans just like they called her Duchess of Cornwall despite the fact that by law she is Princess of Wales. They knew that Diana fans would call blue murder if Camilla was called that so they made up a title especially for her to please the Diana fans and to help her be more accepted. They then lied through their teeth and said "she will not be Queen Consort" well that would mean 1,000's of years of history and laws would have to be changed because by law she will be QC but again they were trying to make nice with Diana fans because Diana fans cannot accept that it will be Camilla sitting on the throne next to Charles and not Diana, they think that title belongs to Diana. Well it does not, it belongs to the King's wife and his wife (legal wife!) 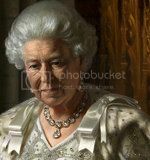 is Camilla and any wife of a King is by law Queen Consort whether you like her or not. They realised that the marriage was not going to be welcome by many people not only the Diana devotees (term that I don't like), I doubt the queen who didn't attend the civil wedding is one of those Diana devotees and the act of penitence in the wedding was only for the Diana devotees? I didn't know that they had so much power over the BRF. I don't think C and C caredor care two cents about "Diana fans." With all the nasty ugly spin their cronies put out about her (Iin her lifetime and after she died) why would they care? They didn't care about Diana's feelings so why should they care about her fans. Charles had to touch all bases to get the marriage. He had advisors and spin doctors working for years on this. So it wasn't spur of the moment and OOOOH Must not upset the Diana fans. I think they felt it would be more palatable ( I don't think Camilla is popular with everybody and not just because of Diana--I think some just find her plain manipulative and unsuitable considering she was a divorcee and did live life in the fast lane so much so she was considered unsuitable for Charles even when she was single). And the blessing DOES go with the ceremony. It wasn't Diana's fans making them do it. I think Charles naming her did make him obligated to her. Had he kept his mouth shut she may well still be a mistress. But after that there was pressure on him to "do something about her" as Camilla's father was said to have put it. It's a bit more complicated then the two "marrying the wrong person." Camilla being omnipresent in various capacities in Charles life I think in effect doomed the marriage he had to Diana. had Camilla not been available for Charles to run back to or keep in his life I think there would have been more hope for the Wales to work things out. It is difficult when there is another person calling the shots in someone else's marriage. I'm surprised she had even that much pull. Cripes, even Philip's mistresses didn't pull the stunt of trying to say how many children HM should have had, or even King George VI didn't let his mistresses speak of his wife. Plus there's the fact that even mistresses didn't try to dictate how many children Alexandra would be allowed to have. To my knowledge, no Prince of Wales in the past let his mistress dictate the number of children he might have. Camilla was sort of a puppet master with Charles. After Mountbatten died she was said to have even more influence over him. A mistress also didn't play hostess in the wife's home nor redecorate the wife's house like Camilla did. I'd love to know what went on between Camilla and Charles at William's wedding. Which is quite correct, as most of us already know. One does hear rumours that they arent as close as they once were .. Too Bad, So Sad.